I finally had an opportunity to see Game Change, HBO’s fictionalized account of the John McCain campaign for president in in 2008 and his selection of Sarah Palin as his running mate. It was really good! Although I was certainly not a McCain/Palin voter, even I was drawn into the drama of the campaign as Palin was selected and tested in various venues. And although it was certainly very critical of Palin’s preparedness for the job of Vice President, it was also sympathetic to her in that she realizes that she’s out of her depth. It portrays her as a very good small-town or small-state politician who knows she’s no policy wonk but who recognizes very quickly that she’s nevertheless the star of the 2008 campaign. Game Change called to mind Tina Brown’s portrayal of Diana in her recent biography, The Diana Chronicles, in which a political naif is selected to play a starring role on the national and global stage. According to Brown, Diana comes to realize that her star power and charisma outshine the Windsors, so she mobilizes public opinion to her personal benefit, and toward the end of her life, to the benefit of causes and charities that she supports. Sarah Palin was more than twice as old as the teenaged Diana when she was pushed onto the national and international stage after a mere 5 days of vetting, but she only had 2 months to come to the realization that Diana came to over the course of a decade in public life. One more point about Game Change: most of the actors are much better looking than the real-life pols and political operators they portray, with the exception of the actors who play Sarah and Todd Palin (Julianne Moore and David Barry Gray, respectively). You have to give it to the Palins. They’re Hollywood Pretty, not Washington Pretty. What?!? The Republicans ran a campaign that year? Things were so awesomely transformational and time/space/curve-bending in the other party that I sort of just blissed out in April and lost track of it all. In truth, I don’t think I would have watched. Although I’m a product of the formative era of the campaign bio, from Theodore White to Joe McGuinis to Hunter S. Thompson, I don’t really get too much into political retrospective. I’m still trying to raise seed money for a Thompsonesque documentary on the assassination of the Hon’b’le Danvers Osborn, Bart., in New York in 1753. It’s shovel-ready and take-it-to-Sundance hot, save for the aforementioned seed money. My son is a total politics junky and he convinced me to watch this film, which I would have studiously avoided otherwise, just because I try to avoid anything related to Palin. And I agree, it is very well done, properly sympathetic, but does not give her a pass in any way. Julianne Moore did a great job, as was recognized when she won an Emmy for that role. Mark Halperin is far from a reliable narrator of *anything*, so I would be very wary of assigning truth value to anything depicted in the book. I haven’t read the book, but I’d be interested to hear from anyone who has if the movie’s spin seems notably different from the book, esp. if they think the book was notably less sympathetic/more scathing towards Palin. The “small-town politician” part came out in her laser-like focus on what the Wasilla Gazette or whatever it is was saying about her campaign. I thought it was sympathetic but reasonably accurate, which is what Steve Schmidt (the Woody Harrelson character) said when the movie came out. That said, by the time of his big speech to her at the end when she’s trying to muscle her way onto the stage and give a VP concession speech, you wanted to yell “Stop her!” at the television. I know! But that’s what was so deviously compelling about the movie: the viewer gets sucked into rooting for the McCain campaign. I thought Ed Harris was pretty good at impersonating the famously foul-mouthed McCain. I’ll never forgive the two bastards who wrote “Game Change.” They really should rot in hell for their vicious portrayal of Elizabeth Edwards, a betrayed wife who was dying of cancer. The book was a compliation of tales told out of school by disgruntled employees of the Edwards, Clinton and McCain campaigns. Of course, the Obamas cured the sick and raised the dead. I also thought that, particularly when you compare the fictional portrayal to the real-life drama of the most recent GOP candidate’s campaign, there is a kernel of analysis about what the Republicans do not get: a political campaign is not a corporate campaign. This sounds totally cool, but I don’t think I could take even watching an actor impersonating Palin for any extended amount of time so I’d much rather read a long article about it in the New Yorker or Vanity Fair. O.k. scratch that, upon further reflection, I wonder is this about white liberals unconsciously protecting the status quo? Think about it, what does it mean to portray Palin as “sympathetic” and what does it mean to engage this debate? You say she “knew” she was in over here head, yet she bucked McCain publicly several times to appeal to her “base”, this is a person who seemed power drunk and she also had no problem expanding the big top during the circus to include her family, where as other candidates tightly scripted their family under the public eye. I suggest that liberals (in these drastically changing/ scary times) consider not opening up new veins of sympathy for every body and instead concentrate on empowering those who truly need it, unless the point is not to go so deep? Invisible Man: good questions. My comments were an analysis of the filmic representation of the McCain campaign, not an analysis of the actual campaign. I thought the filmmakers did a good job of drawing the viewer into the story, and making Palin a caricature of herself (which admittedly was probably hard to avoid!) would not have served their goals as filmmakers. Doubtlessly, they wanted to ensure the largest audience possible, which means alienating neither the Palin fans nor her critics. The movie gives both factions a little of what they’re looking for, as well as challenges their views, I think. 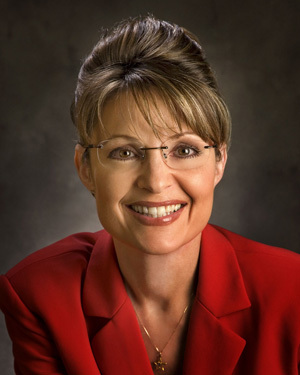 Palin-the-person is not a sympathetic character, but Palin-in-the-movie needed to be at least somewhat sympathetic.